Terravita is a wonderful community located in the Sonoran Desert that offers one of the most rewarding residential and country club experiences in North Scottsdale, Arizona. The gated community features 1,380 homes set on 823 acres with 21 different floor plans ranging in size from 1,385 to 3,800 square feet. Home prices range from $350,000 to more than $1 million. All home owners have automatic memberships to Terravita's Community Association and Country Club which includes an olympic size pool, full fitness center, dining room (lunch and dinner) and activities galore. Plus, Terravita Gold Club, a seperate community amenity offers full-membership options to all residents. 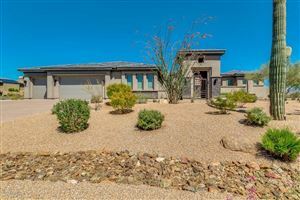 Southwestern architecture, native landscaping and 7 miles of walking trails, country club lifestyle make Terravita a very special place to call home!